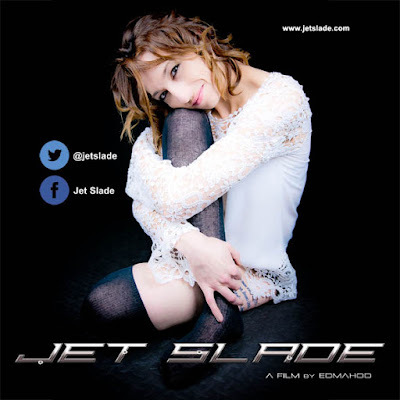 Jet Slade is: Written, Filmed and Edited by Leeds UK Director Edmahoo (Photography, Graphics and Poster Designs, also by Edmahoo). 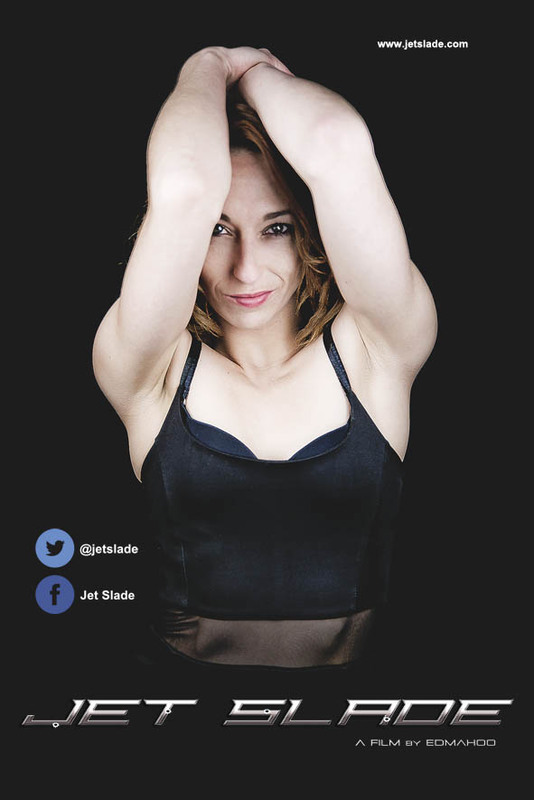 Emma is one of the latest cast members to join Jet Slade. We have a lot of rising stars thriving out of our camp, and when we see the potential in someone we like to encourage and assist them by putting them forward in the limelight. When I approached Emma to play her part, she was ecstatic! We had a long conversation over the phone, but as we were talking I could feel the excitement from her, and that was just over the phone. I knew I had made the right choice. She was already a big follower of my previous work and was excited to be a part of it. 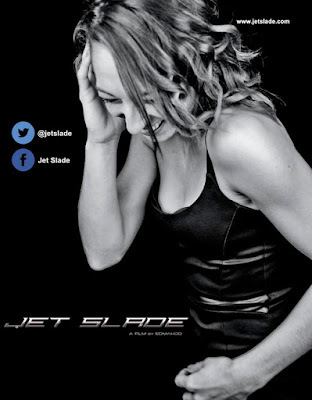 Being part of Jet Slade has really boosted Emma's confidence and her personality is really beginning to shine. 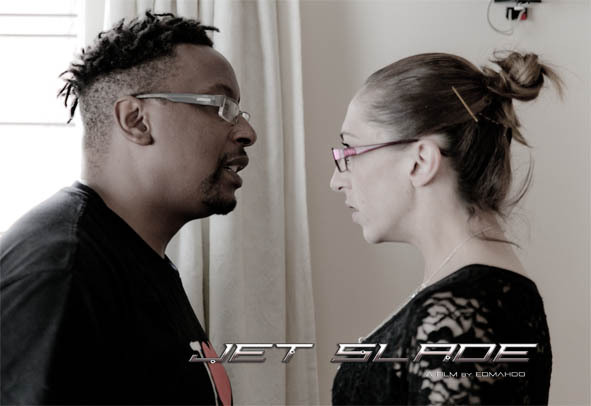 There is something very special about the cast in Jet Slade, they all bring something with them. I believe that everyone has something special inside of them, it's just finding it and letting it shine. With Emma, she always said that" she'd love to be a model". 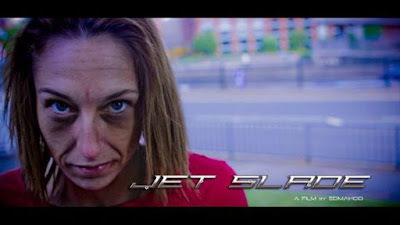 What a better way than to get her started by giving her a role in Jet Slade... her unique look has really blossomed. She takes direction well and this can only get better the more she gets used to being in front of the lens. Emma has great symmetry, she is very slim and slender, but don't let that fool you. Although the character she plays is vulnerable, she has a lot more skills up her sleeve than you'd expect. 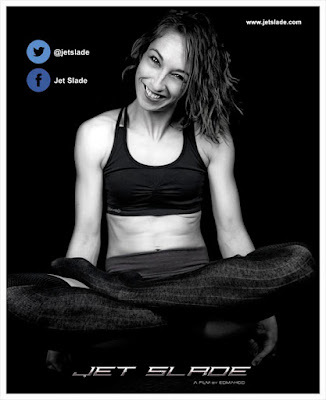 She loves fitness and has taken part in many charity events raising money for special causes. She also does Thai Boxing and will also be taking part in a charity women's boxing event to raise money for the York Special Baby Care Unit, and is currently in training for it, which will take place in York on December 2015. Emma is also a very keen Pole Dancer and has her own pole at home, which she uses to keep in shape. 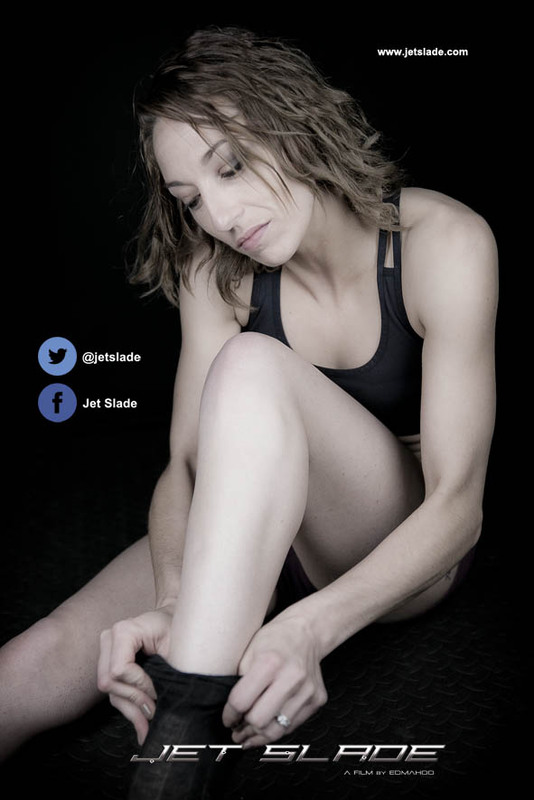 Although very slender, her figure is that of an athlete and yet has the poise of a model. 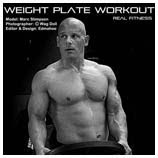 "Thank you for taking time to read. It's a page me and my family created to raise awareness because it's a conditions which is very much plaguing nearly every generation of our family and no one has ever heard of it". Emma. Perry syndrome is a progressive brain disease - Parkinsonism with Alveolar Hypoventilation and Mental Depression. MORE AWARENESS IS NEEDED FOR THIS RARE DISEASE!! The diagnosis is based on clinical findings and molecular genetic testing of DCTN1, the only gene known to be associated with Perry syndrome. Each child of an individual with Perry syndrome has a 50% chance of inheriting the mutation. With Emma's credentials, we believe that she can and will do well in whatever she pursues as she is a very talented, sincere and genuine individual (she could play either lead or supporting actor). 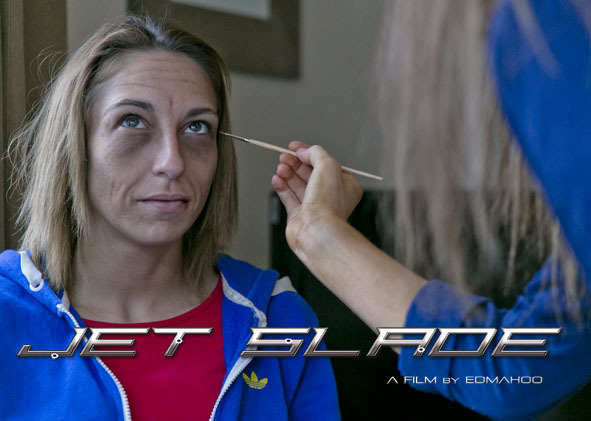 Emma has enjoyed the experience of starring in Jet Slade. The rehearsals have been a big boost to her confidence, meeting new people and making new friends. We wish Emma all the best for the future. 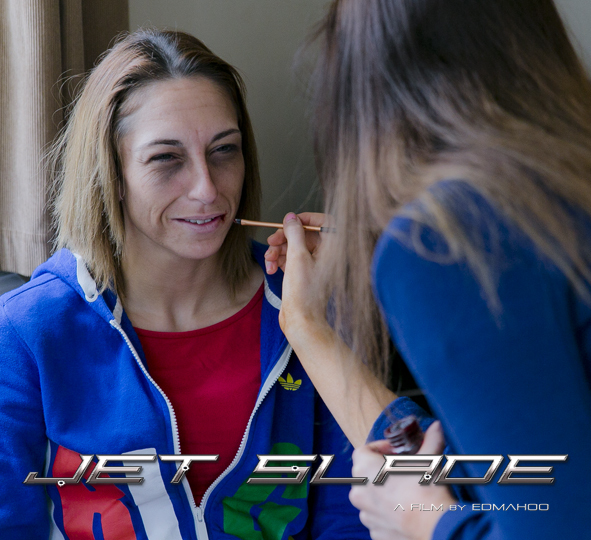 We really hope you've enjoyed reading our posts, the cast have been working really hard on this project. 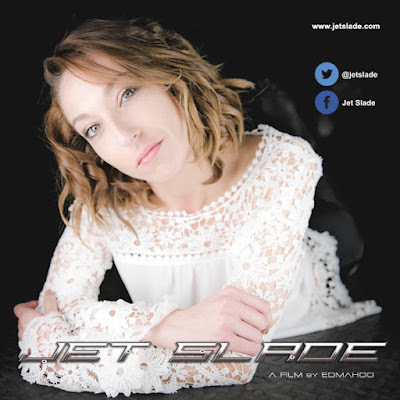 Keep a look out for more news updates from Jet Slade and if you're liking what we do, please leave us a message by contacting us to the right of the screen (desktop mode or web version). 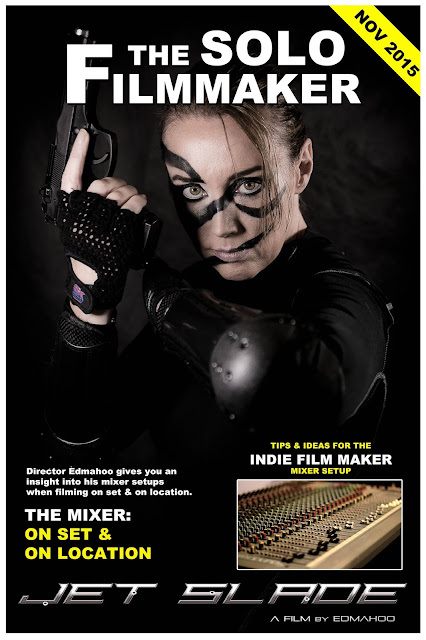 Coming up in November's issue of The Solo Filmmaker, Director Edmahoo takes you through some of his mixer setups on set, and on location. 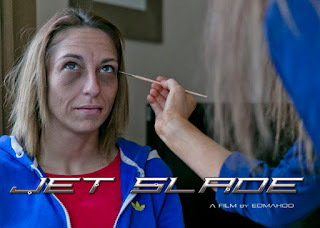 Here's a first look at November's front cover, it features Bridget Houghton aka Wag Doll lead actress on the front cover in his first short action film Jet Slade: Rise of the Black Hood. November's issue is due out at the end of November!